The Kershaw Indian Ford knife, model 2155, has a high quality AUS6A stainless steel blade that is razor sharp. The blade is held by a smoth-operating lockback that is positioned at the end of the knife. 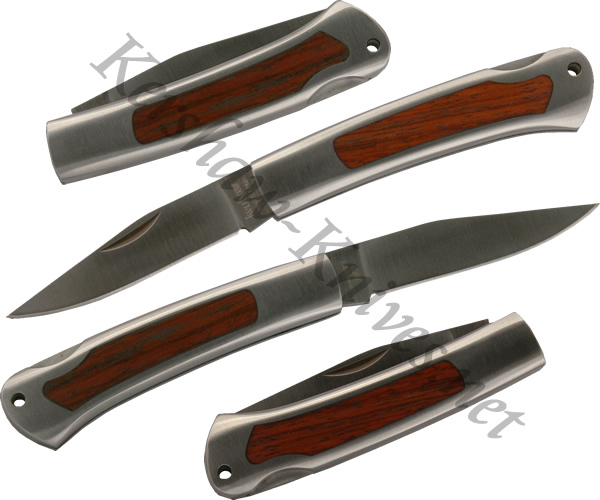 The handle has high polished satin bolsters with nice looking rosewood inlays. Impress your friends when they see you carrying a classic knife such as the kershaw Indian Ford.